Do you still wake up early on Thanksgiving morning to watch the parade? I do. I admit it. I still love to see the huge balloons float down Sixth Avenue and past Rockefeller Center. With more than two dozen floats, 1,000 clowns, 12 marching bands from across the United States and Santa Claus bringing up the rear, it truly is a treat for all ages. This year is a little extra special because my favorite truck brand has been named the official truck of this great Thanksgiving Day holiday tradition. 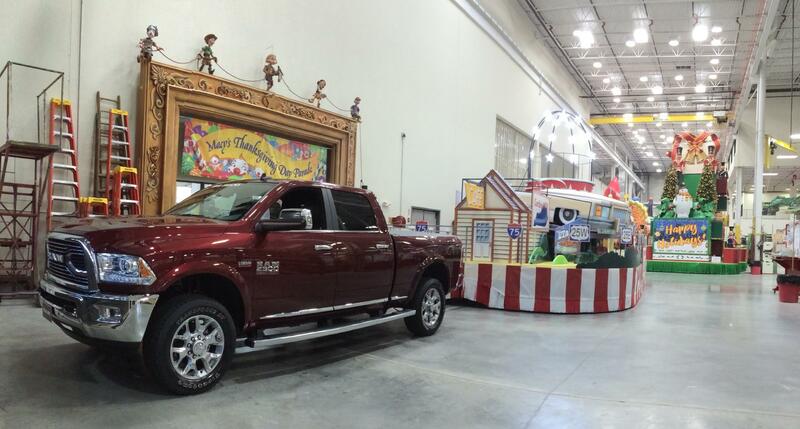 That’s right, Ram trucks is kicking off the holiday season as they kick off the annual Macy’s Thanksgiving Day Parade®. More than 25 trucks will tow floats through the streets of New York City as onlookers enjoy the 89th anniversary of the event. Ranging from two to three stories high and as long as 50 feet, just one float can weigh as much as eight tons. In addition to being front and center on the parade route, more than 70 trucks and commercial vans will be helping carry the load behind the scenes. Transporting everything from costumes to floats to the beginning of the parade route is a big job and Ram trucks have what it takes to get the job done. Ram trucks won’t be the only new faces in this year’s parade. Six new floats will be making their debut, including creations from Spirit of America Productions, Kentucky Fried Chicken, Ocean Spray®, Build-A-Bear, the Hallmark Channel and Peanuts Worldwide. Be sure to tune in on Thanksgiving Day at 9 a.m. (all time zones) on NBC to see all of your favorites!